I am 37 years old. My background is in Computer Engineering. The material is written for Grade 3-5 students. The goal of the book is introduction into programming, mathematics, sciences for elementary school students. The material is written for student self-study (8-11 y.o.) who have basic skills of operating a computer. Children have to be able to use «a mouse», start using labels, etc., as well as count to 480, multiply and divide. More complex mathematical notions (negative numbers, decimal fractions, coordinate axis, degrees) will be explained on the pages of the book. Scratch is a new free programming environment that allows children from 7 years old to create their own stories, cartoons, games and other creation. This program allows children to express themselves in computer creative work. Scratch was specifically created as a new learning environment for teaching school students programming. You can create cartoons in Scratch, play with various objects, change them, move them on the screen, set up forms of interaction between objects. The programs are created of multi-colored blocks the same way as Lego construction sets are made of multi-colored bricks. Scratch was created in 2006 under the supervision of Mitchel Resnick by a Lifelong Kindergarten group in MIT Media Lab. Scratch works on Windows or Linux computers. It doesn't work on any tablets! Each chapter requires about 20-30 minutes to study. It is not recommended to study more than two chapters per day. A Book for Young Programmers On Scratch by Denis Golikov and Artem Golikov is about grasping the concepts of the program called Scratch. It is aimed at secondary grade children and it explains how to become familiar with the program and eventually progress to more complex ideas. I had never heard of this particular program before reviewing this book. At first glance I thought it would be something similar to other things on the market, but it was actually unique in its own right. You can change and add characters, animals, and even people. You also have the ability to create a simple platform which can become enhanced with practice. 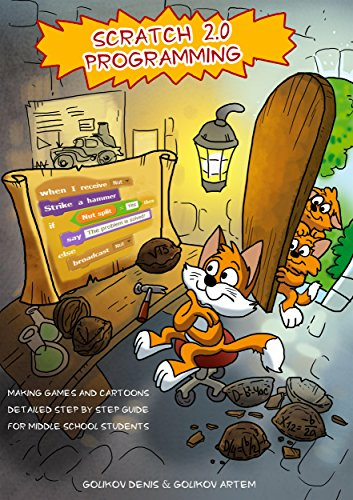 I was very impressed with A Book for Young Programmers On Scratch. 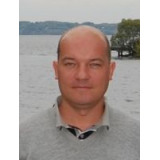 Denis and Artem Golikov are a father and son team, and they have captured the essence of a unique program and are keen to share their experiences with the rest of the world. As I began the book, the theories and diagrams looked easy to comprehend. However, the further I got into the book, the more I found things a little more complicated. I ultimately downloaded the program onto my computer and went through each scenario, following closely the steps provided. With fifteen minutes I was in awe of this wonderful program. I may need a little more practice with the more challenging platforms but I found it exciting nevertheless. I think this book would be extremely beneficial to new users as it is written in a way which is clear to understand. Every different aspect and example is included and I was excited to read that a second book is almost finished. Overall, this book is easy to read and understand and the program called Scratch is a welcome revelation.."